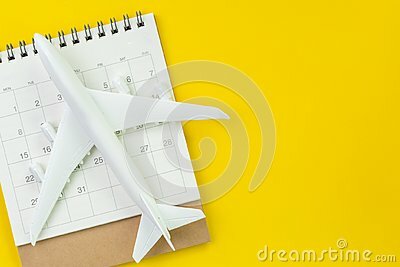 Travel schedule or planning, tourist, vacation, flat lay or top view of miniature airplane and calendar on vivid yellow background table with blank copy space. Chairs for passengers in the empty hall of Guangzhou Airport. The sign says `gate locationÂ» and the flight schedule China.